HAMILTON, NEW ZEALAND—The Lawrenson Group recently installed a complete audio system by HARMAN Professional Solutions at the Outback Inn, a popular nightclub in Hamilton, New Zealand. 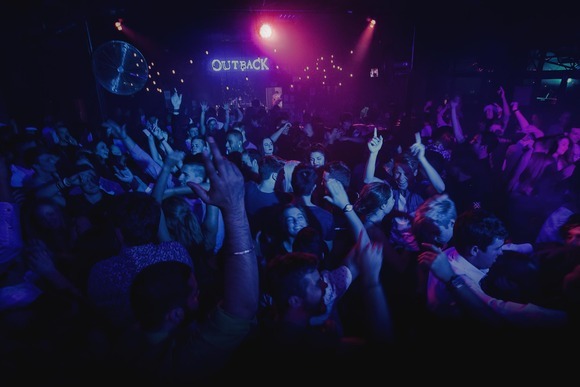 One of New Zealand's premier entertainment venues, the Outback Inn, hosts massive dance parties and performances by local DJs and touring artists, including Flux Pavilion, Twista, Peking Duk, and many more. The large facility can serve as a 2000-capacity venue, or can be divided into three distinct nightclubs. In order to accommodate the flexible room configuration and provide an exceptional music experience to its guests, owner and operator Lawrenson Group decided to upgrade the Outback Inn’s aging audio system with a complete HARMAN audio solution. Trusted HARMAN distributor Jands New Zealand supplied all equipment for the Outback Inn’s new sound system. The system consists of JBL SRX800 Passive Series loudspeakers and subwoofers, Crown XTi 2 Series amplifiers, a dbx DriveRack Series speaker management system and Soundcraft Si Series digital audio consoles. JBL SRX835 three-way speakers provide stunning full-range audio, while JBL SRX828S dual 18-inch subwoofers deliver powerful low frequencies needed to stimulate the dance floor. JBL SRX815 two-way speakers satisfy the venue’s flexibility requirements, serving as monitors, front- and side-fills, or portable PA speakers. The entire system is powered by reliable Crown XTi6002 and XTi 4002 amplifiers, and a dbx DriveRack VENU360 loudspeaker management system ensures maximum PA performance and coverage every time. A Soundcraft Si Performer 3 console takes care of the front-of-house mix in the main venue, while Soundcraft Si Impact consoles enable powerful and intuitive mixes in the smaller nightclubs.